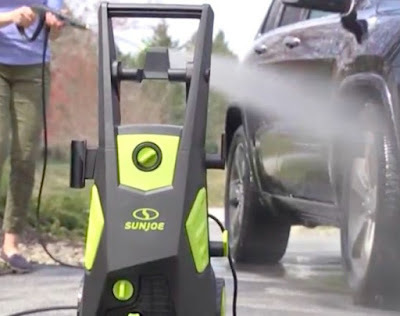 Today, May 28th only, head over to Amazon and snag this Sun Joe Brushless Induction Electric Pressure Washer for just $159 shipped (Retail $244.99)! This pressure washer works on homes, buildings, RVs, cars, trucks, to boats, decks, driveways, patios and more. It has a 13-amp motor, onboard detergent tank and comes with 5 quick-connect spray nozzles. You can quickly swap nozzles to go from a pencil point jet to a high-pressure fan spray, or apply detergent with the soap nozzle for additional cleaning power.